At a time when politicians and leaders are urging people not to discriminate against Muslim Americans, or those who could be mistaken for Muslim Americans, one social media post has struck a chord. "Let me tell you why this...isn't funny," Greg Worthington, a PhD student in the Education Policy and Planning Program at the University of Texas at Austin, wrote Sunday on Facebook. 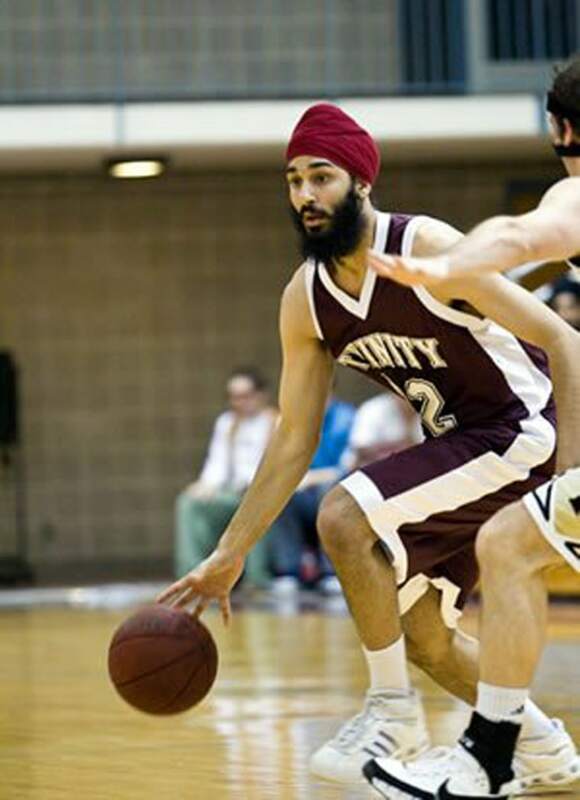 Worthington's 400-word long caption accompanied a screenshot of Darsh Preet Singh, the first turbaned Sikh American to play basketball in the NCAA. The photograph, which has been circulated by comedians and joke websites for months, identifies Singh as "Muhammad" and calls him an "explosive" player. On Sunday, Worthington took to Facebook to introduce Singh and explain why the "joke" in the photo was not funny. As of Tuesday morning, Worthington's post has received more than 23,000 likes and more than 10,000 shares. "Since receiving kind messages from Sikhs and others and reading what people have said when they shared my post, I realized that I had no idea how important it was to say something even though I knew it was extremely important to do so,” Worthington told NBC News. “A stranger who is a Sikh that shared my post wrote, ‘Greg Worthington, a friend indeed.’ It was extremely touching to know that I could be the kind of friend the Sikh community needs in times like these just by simply speaking out." Simran Jeet Singh, Senior Religion Fellow at The Sikh Coalition, told NBC News that the world needed "more people like Greg."